Captivating the skills of our professionals, we are involved in rendering Wall Texture Painting Service. Best provider of Textured Wall Painting. We are providing Texture Wall Painting Service, is widely used in place of wallpapers and can be availed in variety of metallic finishes. 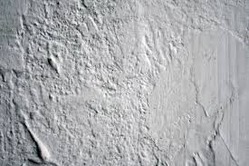 It comprises special additives like inorganic pigments, aggregates, silica, and quartz, which helps in giving fine finish for a longer duration. We are offering Texture Wall Painting Services.Textured Wall Painting Services is a revolutionary concept in wall dressing to provide look better than a flat wall this paint is gaining fast popularity. We offer highly reliable, durable and weather resistance exterior wall texture paints which is available in a number of finishes and effects.